YOU CAN WALK A FEW STEPS JUST OUTSIDE YOUR BACK DOOR TO NAPLES PIER, SHOPS AND RESTAURANTS AND ART GALLERIES ON THIRD STREET OR JUST A FEW MORE BLOCKS BRINGS YOU TO FIFTH AVENUE SOUTH. 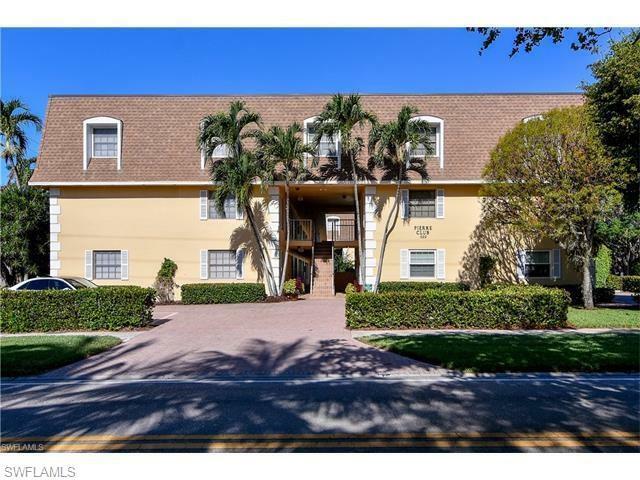 This charming first floor condominium is located on Gordon Drive, one of the most prestigious locations in all of Naples! This home features an open split bedroom floor plan with two bedrooms and two baths and 1070 sq. ft. of living space. 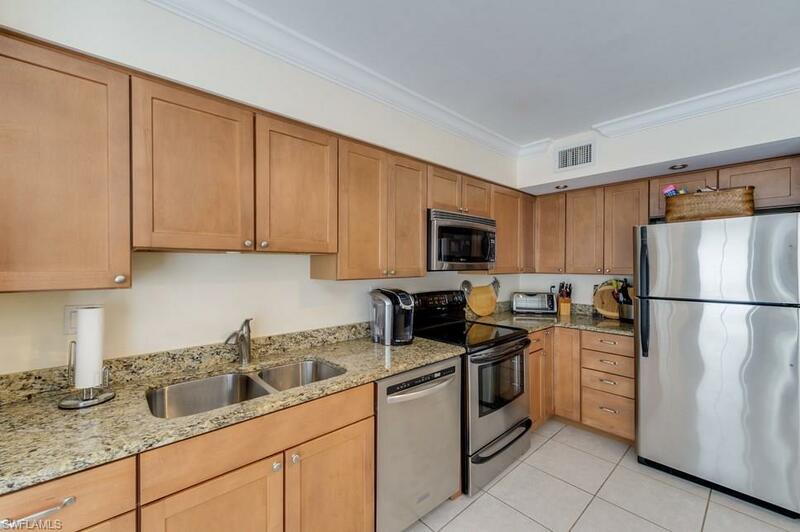 The kitchen features granite counters and upgraded stainless appliances and is open to the dining area. A back door takes you directly to your own private parking space.There is a washer and dryer located inside the property. Televisions are available in the living room and bedrooms for your entertainment. 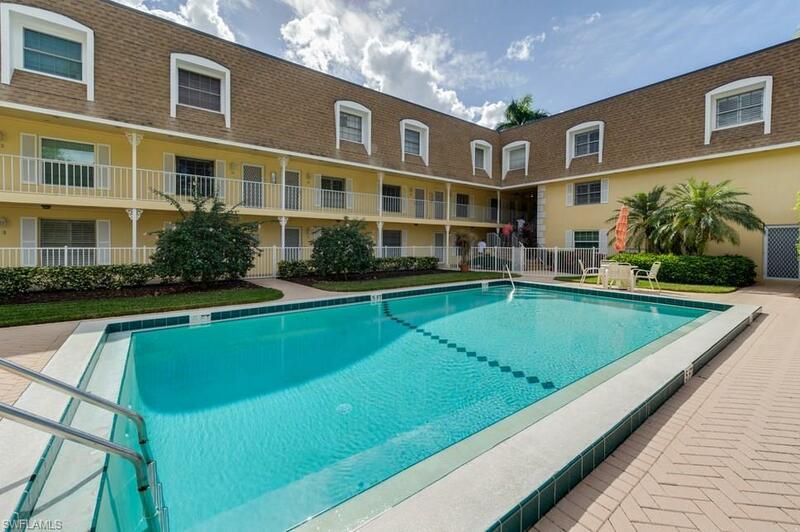 A courtyard pool is located just outside the front door and there is assigned parking two steps from your back door. 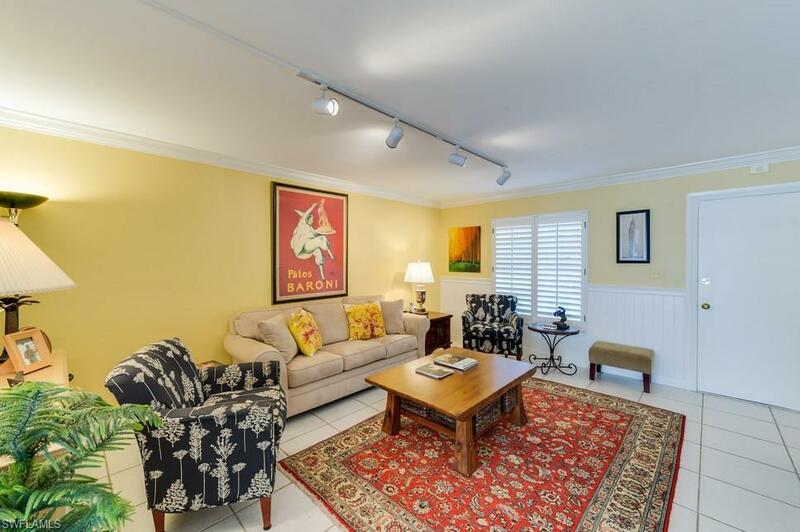 This home is just a block from the famous Naples Pier and white sandy beaches! Walk 1/2 block to Third Street South, Naples' exclusive shopping, art and restaurant district. A short stroll will also bring you to Fifth Avenue South and the downtown historic district. It does not get any better than this! Listing courtesy of Naples Luxury Real Estate Grou.